To celebrate the beginning of Summer, Shiner and I went on a little mini adventure this past weekend. I left the kids and the dog daddy at home and we went for a nice drive to the park and to Starbucks afterwards for refreshments. To make things easier for our little adventure, we used a 4Knines Pet Car Seat Cover. 4Knines makes stylish, heavy duty products that make traveling with your pet easier. The cover that 4Knines sent us is made for the rear seat of our car, but they also make front seat covers and cargo liners. Our adventure started with a car ride (windows down, of course) to the park. This park is very large and there is a small lake there. Shiner and I walked down to the park and she stepped right in to cool her paws off. She would have swam in farther if she were allowed off-leash, but I didn't feel like going swimming in that water. She found some interesting objects in the water that she felt necessary to retrieve... first, she retrieved a little kid's lost shoe. Then she found a head of lettuce. I guess a salad sounded tasty to her, because she started shredding it up until I told her to leave it alone. And of course, we played with a few sticks. After playing in the water for a little while, we walked around the park. Shiner enjoyed watching lots of people having a water balloon fight and sniffing the barbecue scented air. We found a statue of a dog and a little boy reading a book too. It was hot outside, so after our visit to the park we drove over to Starbucks for refreshments. 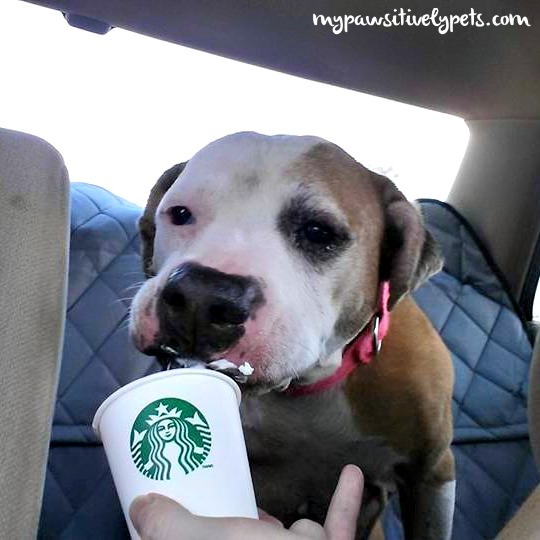 Over at Starbucks, Shiner had a puppicino which she thoroughly enjoyed. Then we headed home to hang out in the AC for a little while. We hope to go on more adventures soon! Our pet car seat cover from 4Knines is made for the rear seat. It's easy to install and remove from your car and protects your vehicle from muddy paws, scratch marks, water, accidents, fur... any sort of dog mess you can think up! Made with "Life-Proof" Material holds any messes on the surface of the cover without soaking through the cover to your car seat. It's latch compatible and you can put your child's car seat in the car with the cover on if you need to. The 4Knines Pet Car Seat Cover is easy to clean. Just wipe up any messes or throw it in the washing machine if needed. Velcro openings allow access to seat belts, but can be closed if needed to prevent crumbs or debris from falling into the cracks. 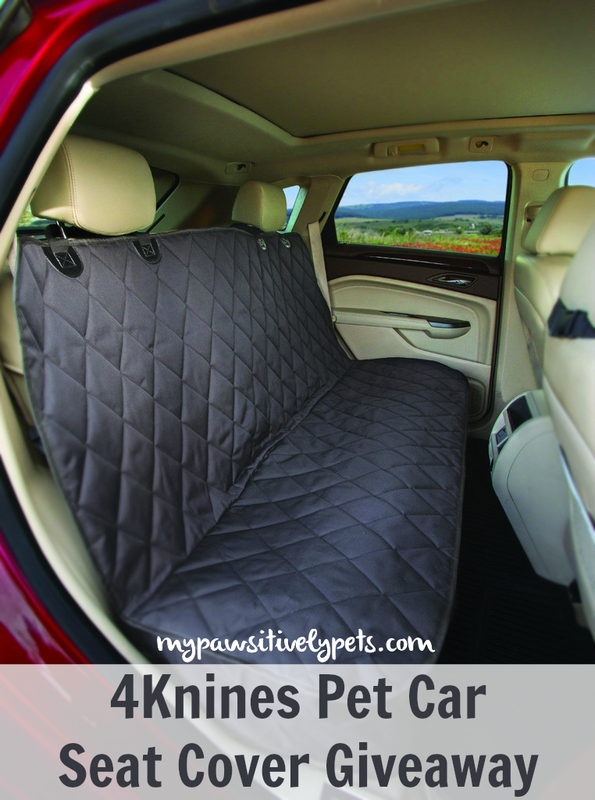 4Knines Pet Car Seat Cover comes with a lifetime warranty. During our mini doggy adventure, Shiner got muddy and wet. I tried giving her a little bowl of water in the back seat of the car after our walk and accidentally spilled some on the seat. And of course, Puppicino debris was slurped and slung in the back seat too. In the course of our little adventure, I was able to avert muddy, dirty, stained, and wet car seats all by simply installing the durable 4Knines Pet Car Seat Cover in my car. I really like the car seat cover and it fits well in both of my vehicles. I can tell it's made to last for a very long time. Shiner and I look forward to getting more use from this product this Summer. For more information about products made by 4Knines and to purchase, just visit their website here. 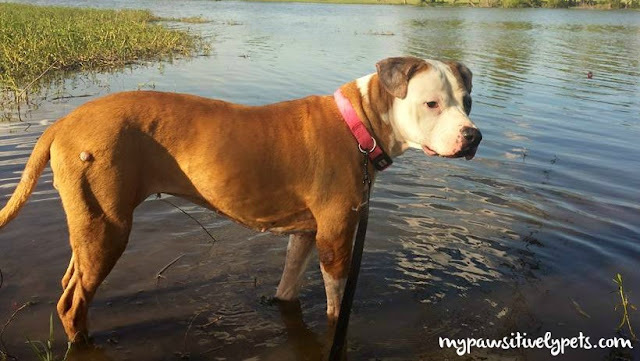 Would you like to go on mess-free adventures with your dog this Summer? 4Knines is graciously giving away one of their Rear Seat Covers to one of our readers! This giveaway is open to US readers only, ages 18+. To enter, just fill out the Rafflecopter below with as many entry options as you like. This giveaway will end on June 18th at midnight CST. Good luck! This post is sponsored by 4Knines. We are being compensated to help spread the word about 4Knines, but Pawsitively Pets only shares information we feel is relevant to our readers. All opinions expressed here are our own. I've heard some wonderful things about 4knines! If I won I would choose the grey one! 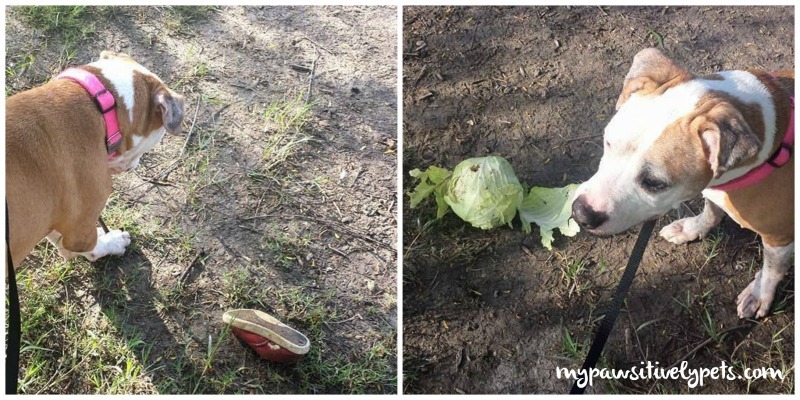 Shiner you found great treasures... a shoe is great... and is that an iceberg salad? Haha - she was proud of her trashures Easy. And yes, I believe that it is an iceberg salad lol. 4Knine definitely have amazing products, and so well made too! 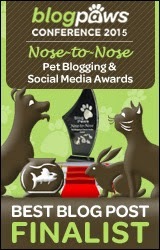 I am one of their writers for the dog blog at their website, and have became quite familiar with their products. Love them! I have read some of your posts there :) I just got done writing something too, so we'll see how it turns out! I'd go with gray - my current mini-van is light blue with gray interior, but we'll be trading it in very soon (as early as Saturday) for a silver mini-van with gray interior. So gray would match either van. You sure did have lots of fun pretty Shiner! I seriously need to get a car seat cover; Laika is attracted to mud like no other dog I've seen before lol. 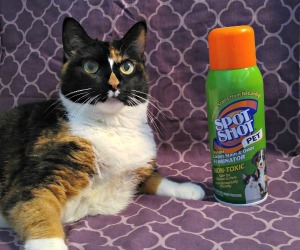 That looks like a great product! I really enjoyed sharing in your adventure. Shiner, you're such a cutie! We have the cargo cover and love it! 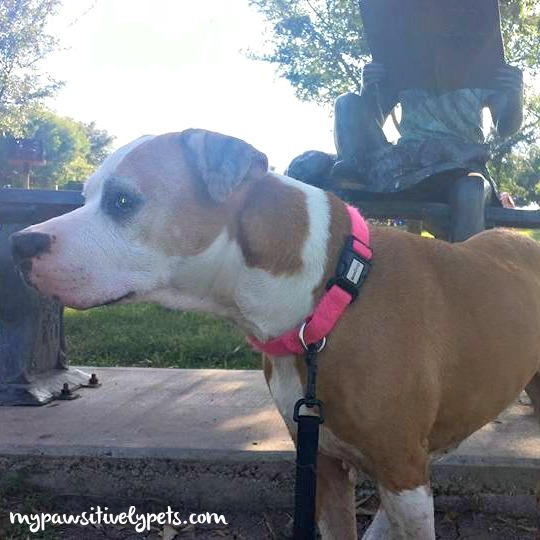 I love doggie adventure reports! Great product. We were at the river this last weekend and both dogs hopped into the car still wet and dirty, so I've been in search of a car liner. I normally see beer bottles or smoked salmon packages at the river, never a head of lettuce! Lol! Shiner got to see some interesting objects. Yea, I thought it was odd too... I was sad to see so much trash down by the shore actually. 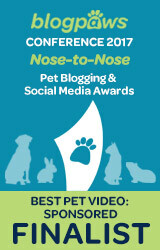 I’m gonna try to win one for Prudence Pup cos her Mom drove TW to Blogpaws. Since the car is silver, I’d want the grey one. How sweet of you CK! I think grey. Tan seems like it would show stains and dirt too easily. I would definitly be going to black, I have to dogs who are very messy and black would be the least likely to show stains. This would make my life so much easier. 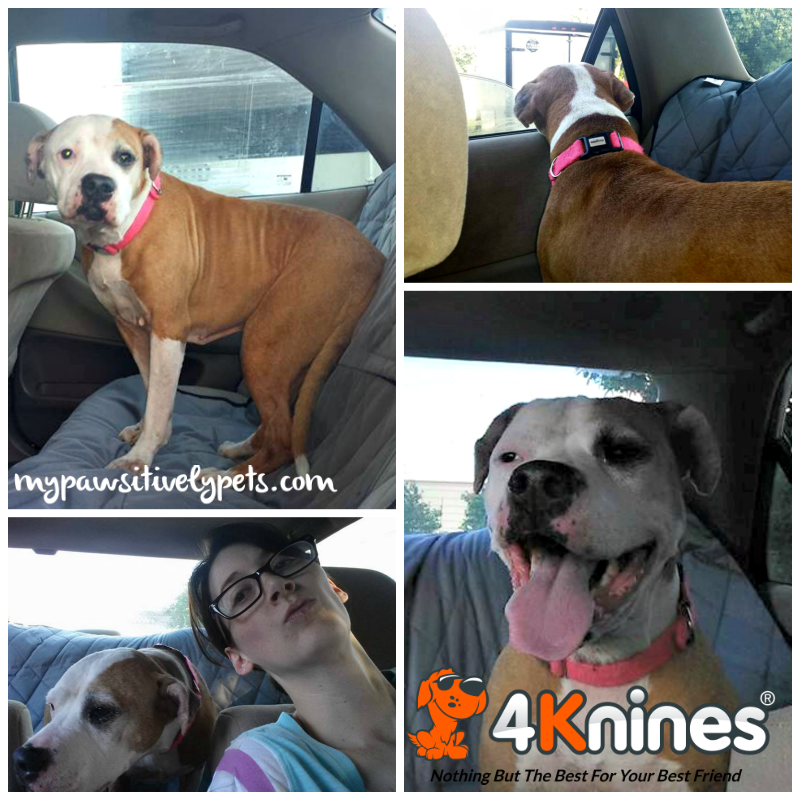 We love 4Knines and their seat covers are so durable. A big plus for dirty paws! Great review, my new car would love this for all the training adventures my gang goes on. I would choose tan since my dogs are brown. What a fun adventure :) I think I'd pick the grey seat cover for all our doggy adventures! I would choose the black color. It would more closely match the color of my seats and my dogs! We love to go on dirty muddy adventures! I would choose black for my black dog. I would pick black to match the car, although it would show all the dog hair!! I think the Regular Grey color is the best way to go, what with pet hair craziness and all. I would choose the gray one. I would pick the gray one, I think. I would love to have the grey seat cover to match the interior of our car. What an awesome giveaway! I'd choose black - my car interior is black and so is my furbaby's hair! I would choose the gray one. Wonderful products. Thank you for the chance at yet another AMAZING giveaway! I love it, I would choose grey! We usually just use a towel but it tends to more around. This would be perfect! I think I'd choose tan.